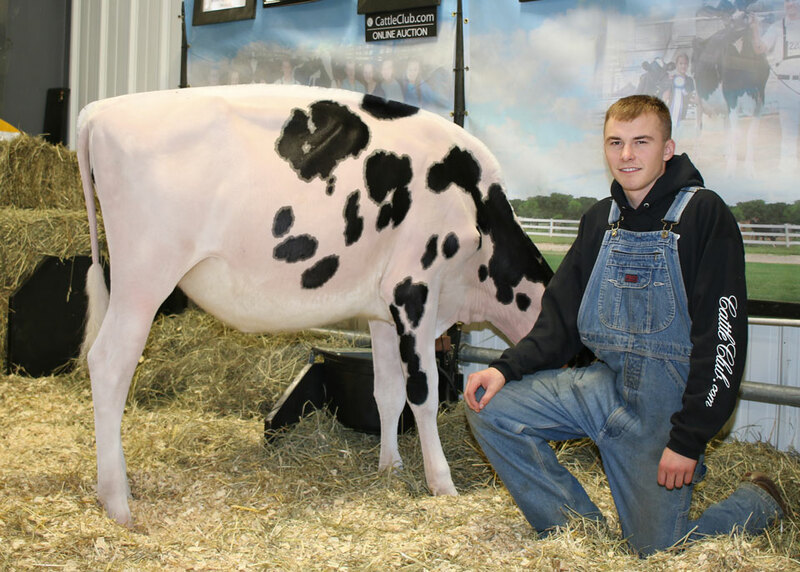 John Prestige Champion was the Junior All-Wisconsin Winter Calf this summer and was also 1st place winter calf at the Wisconsin Junior State Fair for Dawson Nickels, Watertown, Wisconsin. She finished her show season placing 4th in a competitive class of winter calves on the colored shavings in the International Holstein Show. 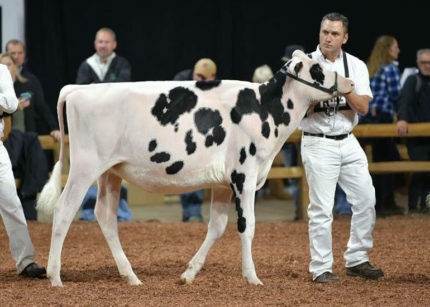 This Doorman winter calf is a daughter of Silvermaple Windhammer Camille EX-94, who was Supreme Champion of the Junior Show at World Dairy Expo in 2016. Her Grandam is the one an only Silvermaple Damion Camomile EX-95 All-American & All-Canadian in milking form. 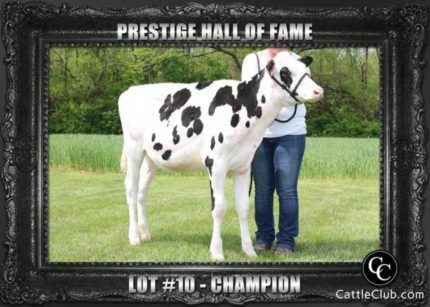 RJohn-Prestige Champion sold in the Prestige Hall of Fame online auction in May 2018, she was sold by Joe & Amber Price & John Cunningham.